Nothing like grilled steak in the summer for the 4th of July. What better way to celebrate the country’s independence, than with nice juicy marinated steaks? Place Rib eyes in large baking dish, add vinaigrette dressing and marinate in the frig overnight. Take marinated Steaks out of the frig and bring them to room temp (about 2 hrs prior to grilling). Transfer steaks to a shallow baking dish and discard marinate. Season steaks liberally with the six remaining spices. Transfer steaks to the grill over a “direct heat” and sear on each side about 3-5 minutes. Then move steaks to an “indirect heat” cooking on both sides until a medium wellness is achieved (about 155 degrees internal temp). Make sure you keep the grill’s lid down, while cooking the steaks. Remove steaks from the grill and allow to rest for at least 5 minutes. During this time, the steaks will continue to cook and the juices will spread through the meat. Enjoy! 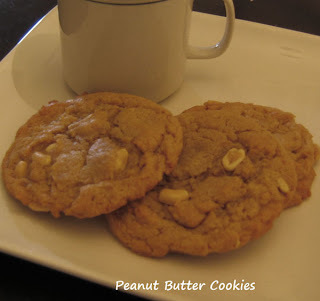 About a month ago my brother called me wanting the recipe to my peanut butter cookies. When I told him my recipe and method, he immediately got perplexed. Now I will admit that my peanut butter recipe is unconventional, when you compare it to most traditional peanut butter recipes. But if you have been keeping up with my blogs then you know that I welcome the unconventional. I like this recipe, because I got tired of PB cookies that were hard as rocks and equally tasteless. I realize that there are many of you out there now, that love crisp PB cookies. But I like my cookies soft, tender, and slightly gooey and so this recipe is for those like me. 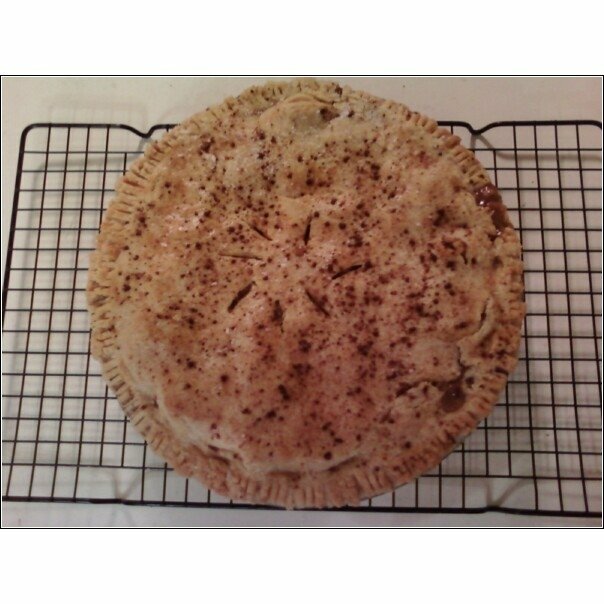 My recipe uses canola oil instead of butter and pastry flour instead of all purpose. Why oil? Well any baker knows, that PB has the tendency to make things dry and oil is excellent at providing moister and tenderness, which is what I want. Worried about a butter flavor? Please! The peanut butter's overwhelming aromatic profile overwhelms the butter flavor, so you really don't need butter. Besides canola oil is much healthier with its mono and poly unsaturated fats. Why pastry flour? Pastry flour has the perfect protein content some where between 8-9.5% making these cookies incredibly tender. I hope you enjoy them just as much as I do. In a large mixing bowl, combine PB, oil, sugars, vanilla, and sour cream. Using a standing mixer or KA on high blend until well combine. Next add egg and beat well until all ingredients come together and are emulsified (about 5 minutes). Next with a spatula or spoon fold in dry ingredients and peanuts until well combined. Transfer the cookie dough to a container and refrigerate for at least 2 hours or over night. It will last about 6 months in the freezer. Preheat the oven to 350. Line a cookie sheet with parchment paper and with a cookie scoop (I use 1 1/4 ounce) place on cookie sheet, evenly spaced. Press down on the top of the cookies slightly and bake for 13 minutes, turning half way through the baking process. Transfer sheet to a cooling rack and cool for 5 minutes, then remove cookies from the sheet and allow to cool completely. Enjoy! In a large bowl combine flour, salt, and sugar. whisk well and set aside. Cut shortening into 1 inch pieces and cut into flour mixture using two forks or a pastry blender. Add vinegar to your ice water and slowly add water in tbsp increments. Moisten the dough so that it comes together in a ball and holds it shape. Divide dough in half and wrap each dough in half forming two disks. refrigerate the dough for at least 2 hours and it's ready to go. Combine all ingredients together in a heavy bottom skillet over medium heat. Bring sauce to a boil, then cover and simmer for 30 mins. Rinse chicken breast thoroughly, pat dry. Using a meat tenderizer, tenderize meat to 1/2 inch even thickness, then set aside. 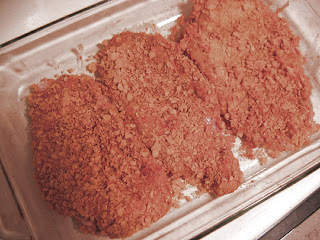 Take corn flakes and put them in a sandwich baggy and process to crumbs, then set aside. Take a medium size bowl and add flour, then set aside. Take another medium size bowl and add buttermilk, mustard, cayenne pepper, thyme, and sage, mix well and set aside. Season chicken with the seasonings listed above (to taste). Then take chicken and lightly coat with flour (shaking off excess), then dredge in buttermilk mixture and roll in corn flakes. Place chicken in a large baking dish and bake for 12 minutes on each side or until internal temperature reaches 165. Bush on sauce during final 5 mins of baking. Remove from oven and set aside for at least 5 mins at which the internal temperature of chicken should reach 170 and the juices will properly distribute. The chicken should be moist, juicy, and tender. You can then slice into strips or enjoy whole. Enjoy! This was an experiment that I thought I would try, since I had tofu left over from my previous post. I have this thing about wasting good food and since the self life of tofu is short, I thought I would keep the "tofu" theme going for this week. It's also a healthy alternative to your beef burger counterpart. Now I first have to say that my favorite type of cuisines with regards to flavor are Caribbean, Jamaican, Southwestern, and Asian fusion. So most of my posts will reflect these flavors. But remember as a foodie, I keep a very open mind about trying new things. I decided on a southwestern flavor for these burgers. In a large bowl, combine all ingredients together. Using a potato masher, mash all the ingredients together until it forms a nice solid mass. The Mass will be very moist, this is fine. Refrigerate the mixture for at least 1 hour so that the flavor is absorb and more pronounced. Take a cookie sheet lined with parchment (if you have it) and form the mixture into 1/4 inch disks. Bake in the oven for 30-35mins. 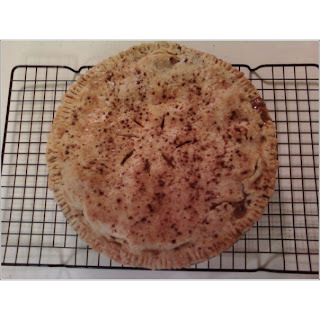 It will be nice and browned on the outside and moist on the inside. Let it rest for at least 5 minutes before serving, enjoy. I got the inspiration for this dish from the love of Thai food, but more specifically, chicken pad Thai. I don't consider myself any thing close to a vegan, but as a foodie, I like to keep an open mind. I've never had the pleasure of working with tofu and so I figured there is no time like the present. I also choose tofu because it's a healthy alternative to fatty and calorie dense meats. Tofu is known as a beancurd and is made by boiling soy beans, mashing and then sieving them to make soy milk. The milk is then curdled with a coagulant and then pressed into different types. 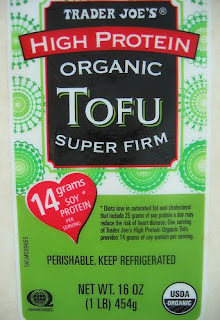 I'm using firm organic tofu from Trader Joes for this recipe. Firm tofu is sold in solid blocks and can be cubed or sliced and used in all sorts of dishes. Tofu alone is quite tasteless, but can readily take on other flavors, when introduced. 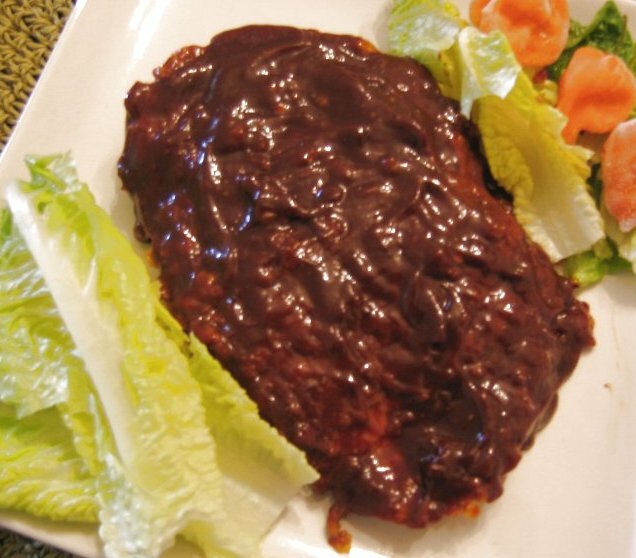 I Started with a Pad Thai inspired marinade listed below. 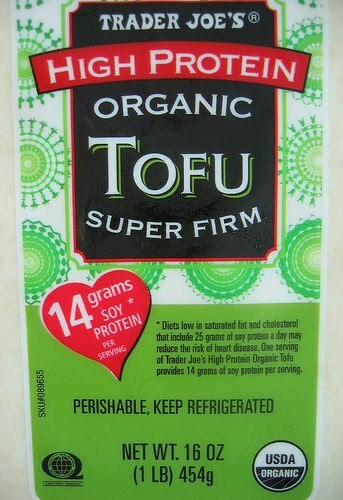 Slice tofu into 1/2 inch cubes, place in a medium bowl, add marinade and place in the frig for at least 1 hour. Heat olive oil and sesame oil in a medium size pan over med-high heat, add garlic and cook until light brown. Add rice vinegar and reduce to about half, then add the remaining ingredients and simmer for 30 minutes. The sauce is ready. The proportions of the ingredients are up to you. Baked at 500 for about 12 mins or until cheese is melted, bubbling, and slightly brown. Enjoy! I was given a sample of this tea by my father, who I call, the ultimate purveyor of tea. Since I instantly fell in love with it, I felt it only fitting to discuss my experience. 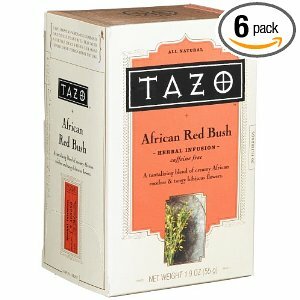 First of all I have to admit that I am a fan of Tazo brand teas and this tea is definitely another favorite. Although they call this tea an herbal infusion tea, I would have considered it a spicy tea, why? Keep reading. The tea gets its name from the ingredient rooibos or "red bush." Rooibos are part of the legume family of plants and are grown in a small area in the South Africa's Western Cape Province region. The tea also contains lemon, orange peel, hibiscus, and rosemary as ingredients.The rosemary is subtle and not overwhelming adding an wonderful earthy profile to the flavor. The tea is traditionally enjoy with a splash of lemon and honey and that is how I enjoyed it. I also suggest adding a splash of vanilla soy, cinnamon, and fresh grated nutmeg to be enjoyed as a dessert tea. Since I was sick last week, the soothing nature of this tea coupled with a squeeze of lemon and splash of honey, certainly assisted with the healing process.